I’m a big Stephen King fan. And I have been since the1980s. So that’s why the Under the Dome TV series is such a disappointment to me. Most of the movie and TV adaptations of Stephen King’s books stay pretty close to the source material. The Running Man is an exception. 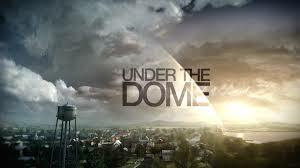 In my opinion, if you are going to call a series Under the Dome then it should be more about sticking to the storyline in the book. Versus using the book as a general outline and then using “artistic license” to do whatever you want.